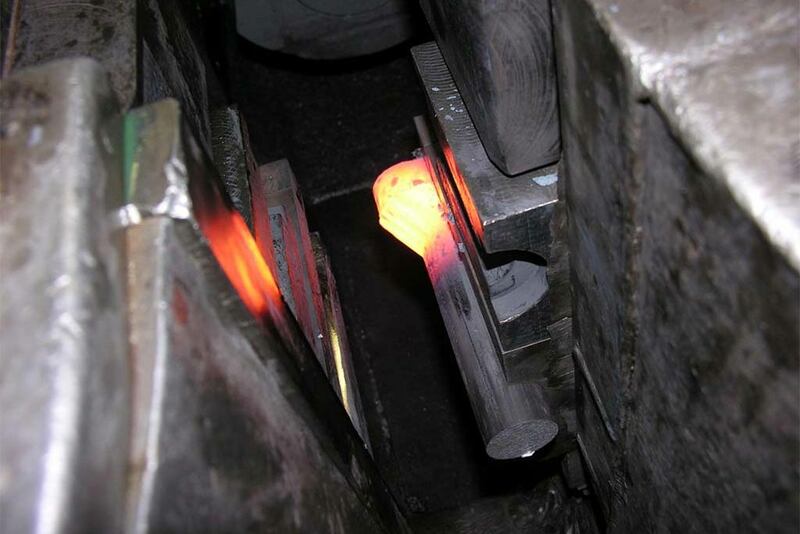 At Valley Forge, we have the capability to hot forge diameters ranging from ½” to 4″, or 13mm to 101mm. 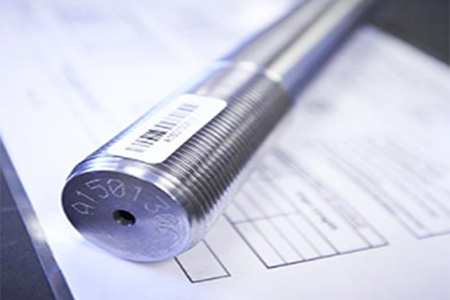 From standard hex bolts to fully customized special shaped heads, we have the ability to forge thousands of sizes and shapes with outstanding precision, largely in thanks to our in-house tooling department. 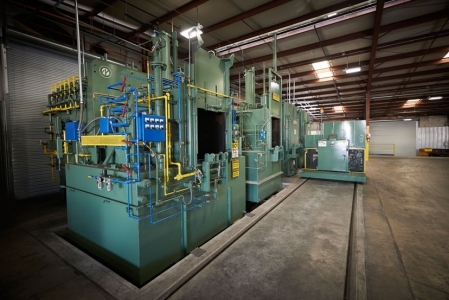 Forging has evolved over centuries from the ancient blacksmith with a hammer and anvil, into a modern engineered process that uses sophisticated production equipment. 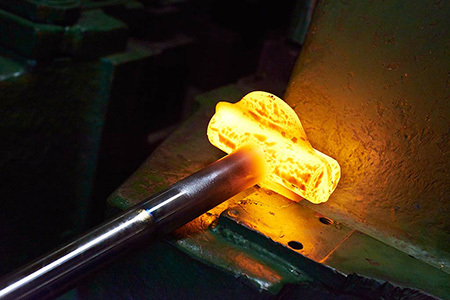 Using great pressure, metal is pressed, pounded or squeezed in to high strength parts known as forgings. 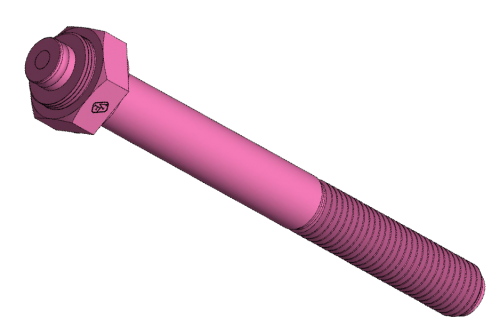 Forged parts can vary in size, shape and sophistication. Anything for a hammer and wrench to components in a NASA space shuttle. 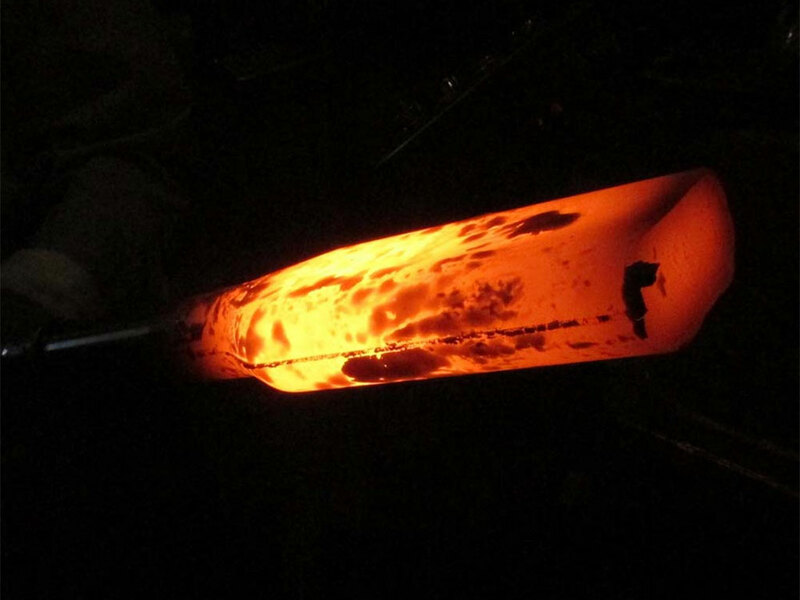 Forging is able to produce a piece that is much stronger than an equivalent cast or machined part. 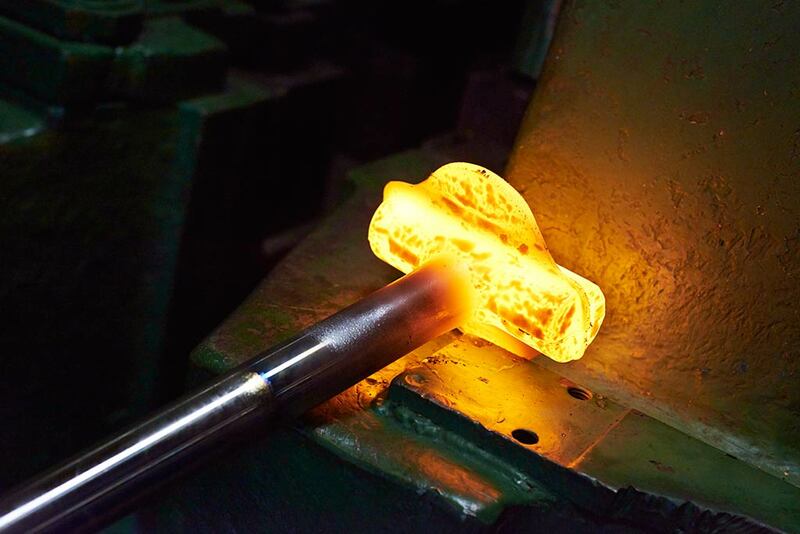 It is for this reason that forgings are used often where reliability and human safety are critical. 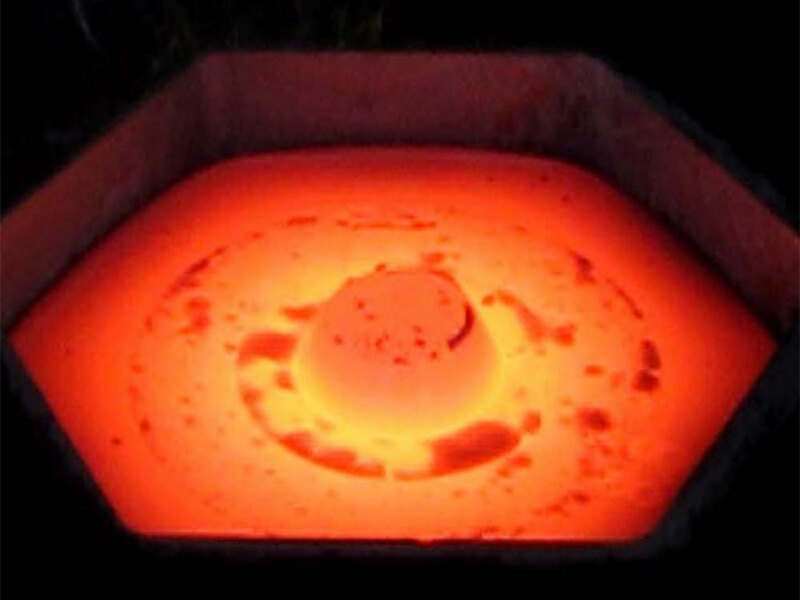 The way in which the piece of metal becomes stronger through forging is by how it is being shaped. When the piece of metal is being shaped into a new form, its initial integral grain is deformed to fit the new general shape. 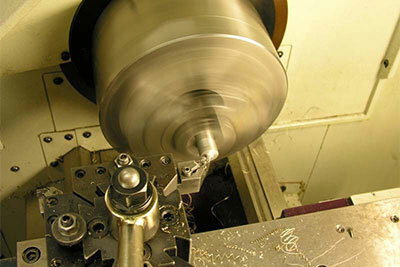 As a result, the grain is continuous throughout the part, producing a piece with improved strength characteristics. 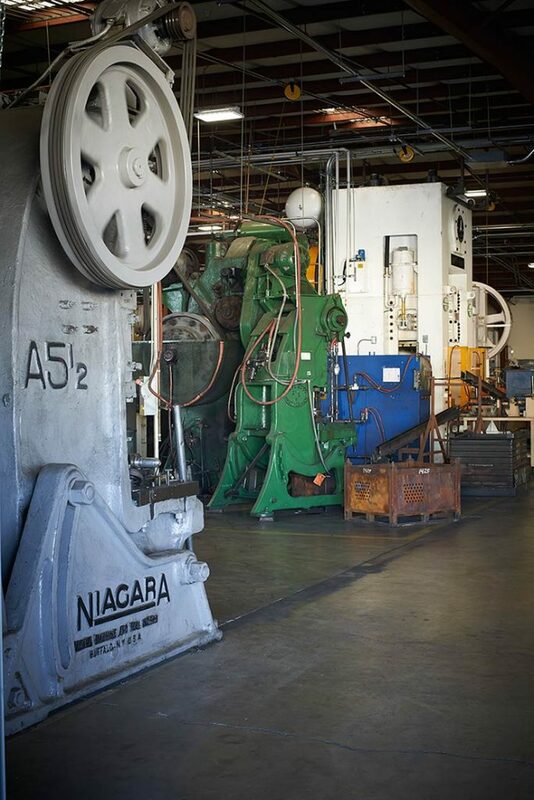 The sophisticated equipment used to make forgings have widely varying styles and drive systems. 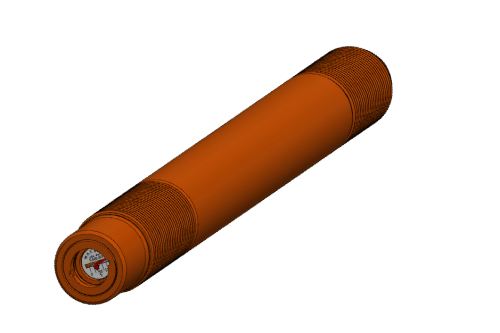 However, they fall into four main categories; hammers, presses, upsetters and ring rollers. 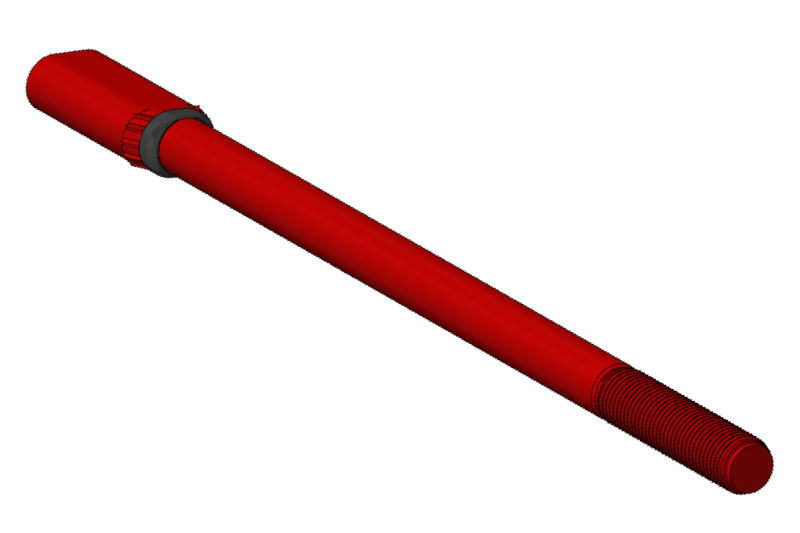 Hammers have a driving force of up to 50,000 pounds and use that force to pound the metal into the desired shape with controlled high pressure impact blows. 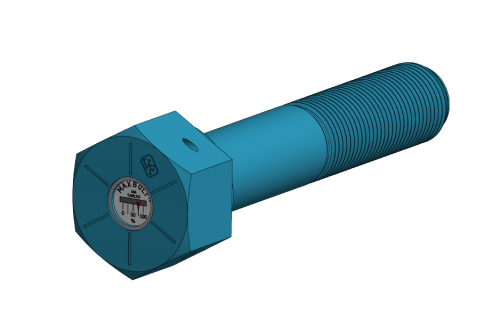 Presses have a driving force of up to 50,000 tons, and use that force, in a controlled high pressure environment, to squeeze the metal into the needed shape vertically. 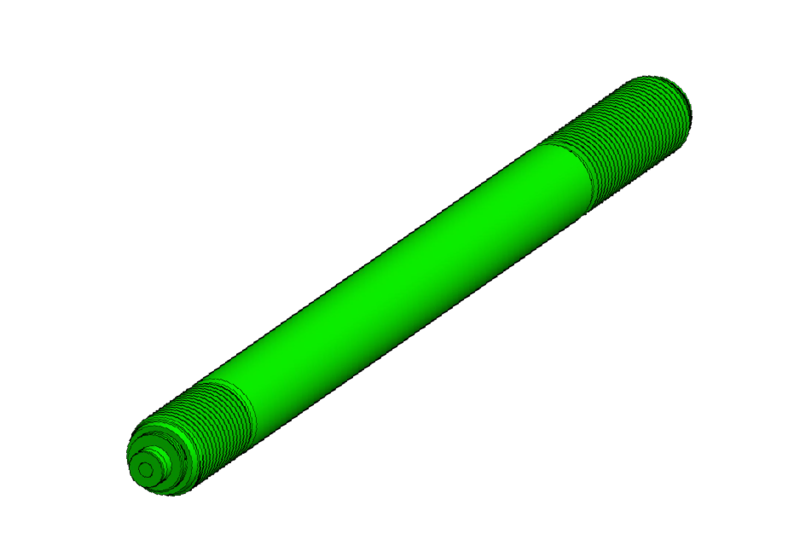 Upsetters are basically forging presses used horizontally. 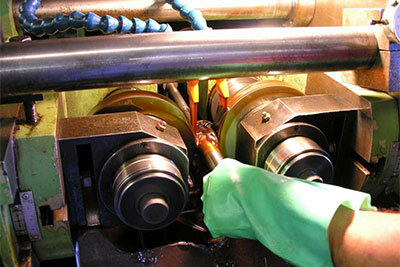 Ring rollers turn a hollow round piece of metal under extreme pressure against a rotating roll, thereby squeezing out a one piece ring without requiring any welding.